All images © MODERHYTHM/Kazushi Kobayashi Crypton Future Media, INC.
Frederator Studios, most well-known for their work with the Adventure Time cartoon series, has worked with toy company Ultra Tokyo Connection to design a brand-new Hatsune Miku-themed robot toy for the upcoming Anime Expo 2016! This figure features the Vocaloid character herself in Frederator Studios’ iconic graphic art style, along with a large Miku-themed mecha for her to pilot and interact with. 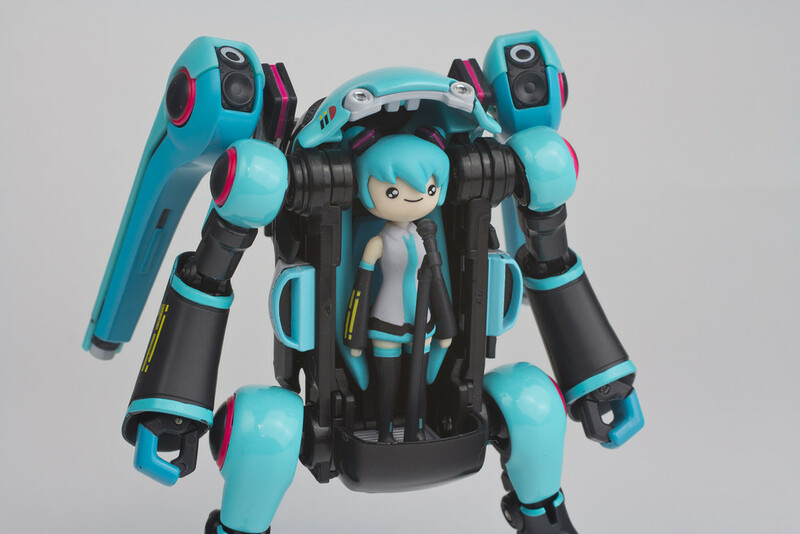 The robot itself is fully articulated, and features a number of accessories for itself and Miku, including microphone stand and leek-themed baton. The robot even opens up, allowing Miku to enter and pilot it in style! The toy will release at Anime Expo, which will run from July 1st to July 4th, and will also be released for preorder online from July 5th to July 25th. Make sure to pick up one of these cool Miku figures for yourself!